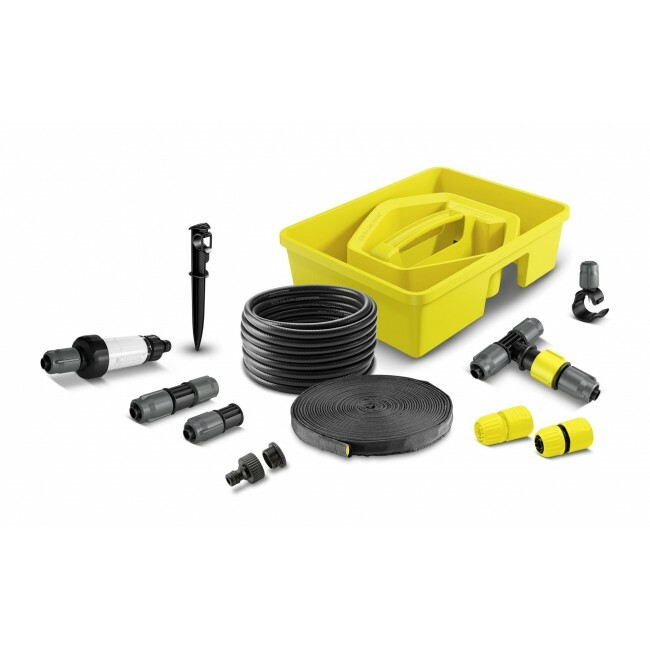 The Kärcher Rain Box is the ideal starter kit for efficient, economical and need-based garden watering. The Kärcher Rain Box contains a G1 tap connector with G3/4 reduction piece for connection to a tap, 2 couplings, 1 filter, 15 m Kärcher Rain System™ hose (consisting of input hose and for attachment of collars), 10 m soaker hose, 4 T-pieces with regulation, 4 I-pieces, 10 drip collars and 5 ground spikes for fixing the hoses. All parts can be installed without the use of tools. 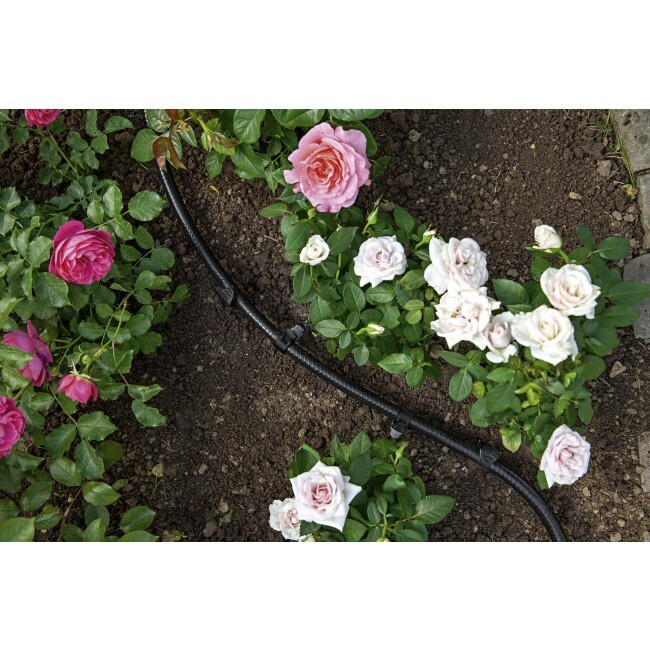 The drip collars can be attached to the Kärcher Rain System™ hose and adjusted (0-10 l/h) as desired. 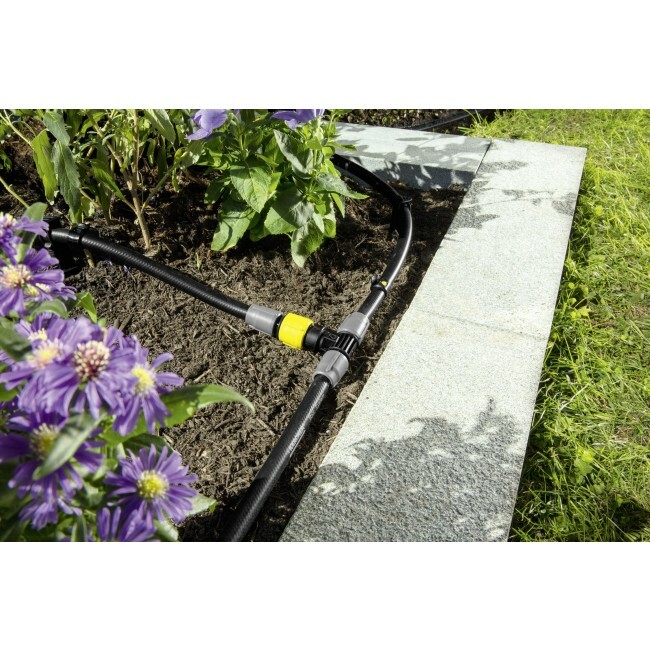 The soaker hose drips evenly over the entire length and can be optimally adjusted using the adjustable tee on the T-piece. 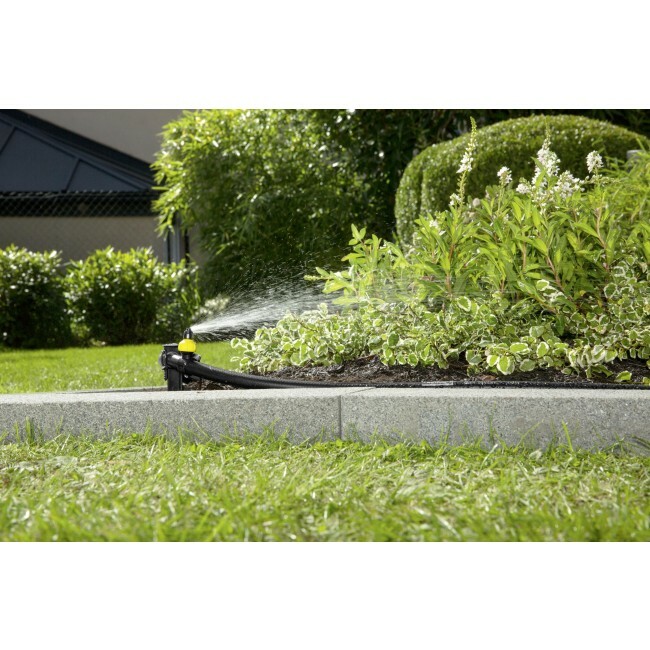 The system runs with up to 4 bar pressure, can be individually adapted to every garden and works perfectly with the SensoTimer for need-orientated watering control. Complete Kärcher Rain System™ starter kit. 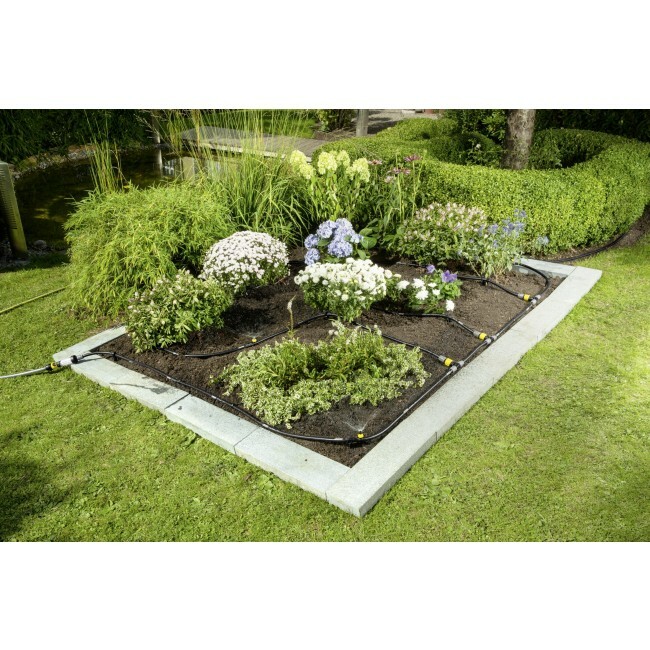 Can be easily extended with other Kärcher Rain System™ components.